Find and delete the orb folder. Find and delete the orb desktop shortcut. Find and delete the orb Start menu shortcut. 1) Place the cursor on the Windows Start button located on the left side of the bar at the bottom of your screen (Figure 1). Figure 1 - Windows Start button. 2) Click the Start button once with the right mouse button to display a small menu shown in Figure 2. Place the cursor on Open Windows Explorer and click once with the left mouse button. Figure 2 - Right click menu. 3) Windows Explorer opens (Figure 3). Move the left vertical scroll bar by placing the cursor on it, and holding down the left mouse button while moving the mouse up or down. Move the left scroll bar so that you see the C: label for your hard drive under the heading Computer in the left pane of the window. Figure 3 - Windows Explorer. 4) Place the cursor on the name of your C: drive and click it once with the left mouse button. The right pane now displays the names of all the files and folders stored on your hard drive. Navigate to the goddgames folder by moving the right vertical scroll bar with your mouse (Figure 4). 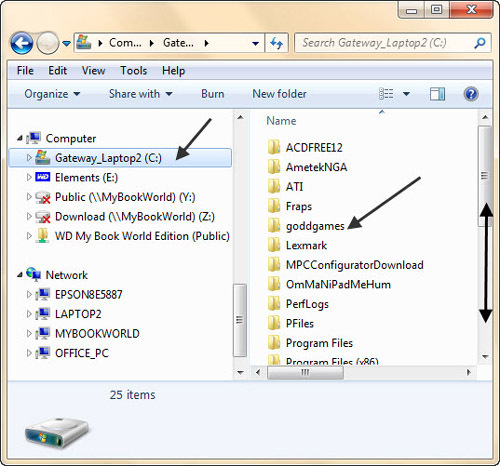 Figure 4 - Find goddgames folder. 5) Place the cursor on the goddgames folder and quickly click it twice with the left mouse button. The folder opens to show you its contents. 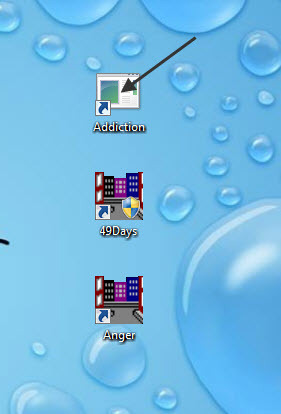 Move the right vertical scroll bar until you see the name of the orb folder, for example Addiction (Figure 5). Figure 5 - Locate orb folder. 6) Click the orb folder once with the left mouse button to highlight and select it. Press the Del (Delete) key located near the top right hand corner of your keyboard. 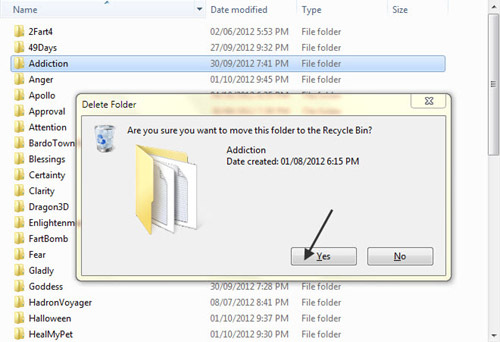 Click Yes with the left mouse button when asked if you are sure that you want to move the folder to the Recycle Bin (Figure 6). Figure 6 - Delete orb folder. 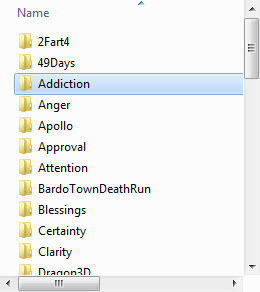 7) The file listing in Windows Explorer confirms that you have deleted the orb folder from the GODDGAMES folder. Click the red X in the top right corner to close Windows Explorer (Figure 7). 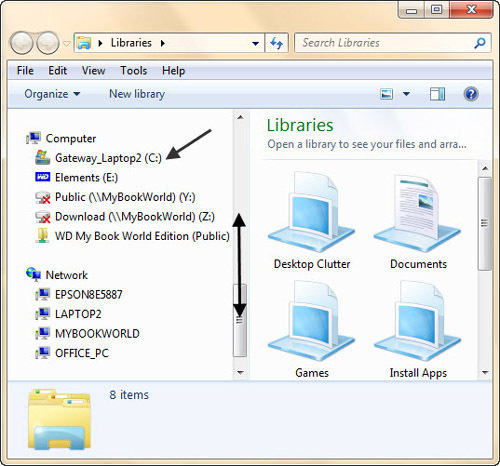 Figure 7 - Windows Explorer. 1) Find the orb shortcut for the deleted game on your Desktop. There are details elsewhere to complete this. Note that when you delete an orb folder, the shortcut icon may change (Figure 8). Figure 8 - Delete shortcut. 2) Left click the shortcut once to highlight and select it, then press the Del key to delete it. Click on Yes when asked if you are sure (Figure 9). 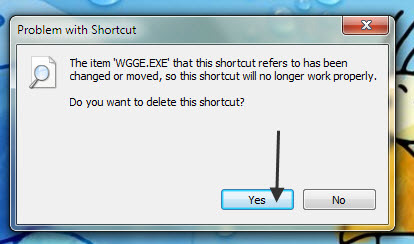 Figure 9 - Confirming shortcut deletion. 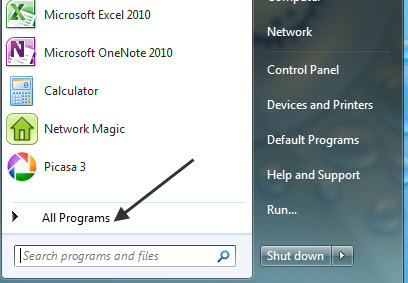 1) Open the Start menu by first left clicking the Windows Start button. Figure 10 - Left click Start button. 2) The Start menu now opens (Figure 11). Left click All Programs. Figure 11 - Click All Programs. 3) Use the vertical scroll bar (drag it by holding down the left mouse button) to locate the GODDGAMES folder (Figure 12). Figure 12 - Find GODDGAMES. 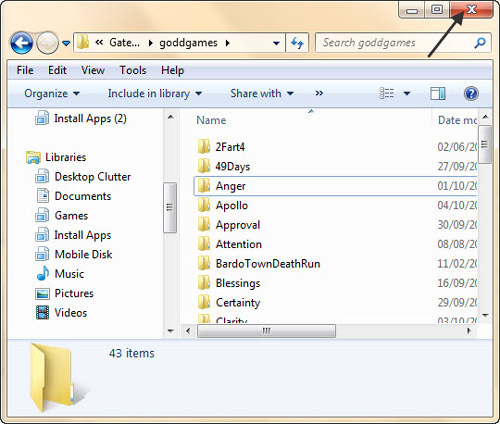 4) Click the GODDGAMES folder once with the left mouse button to see its contents. Use the vertical scroll bar to navigate to the short cut that you wish to delete. It may have changed its icon picture (Figure 13). 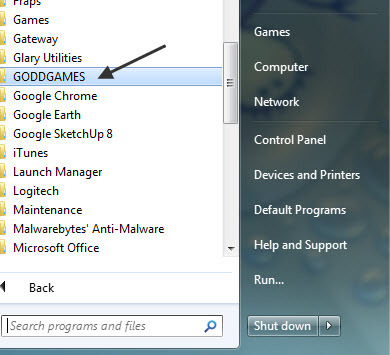 Figure 13 - GODDGAMES shortcuts. 5) Click the shortcut once with the left mouse button. A popup warns you that the orb's program (WGGE.EXE) has been changed or moved. 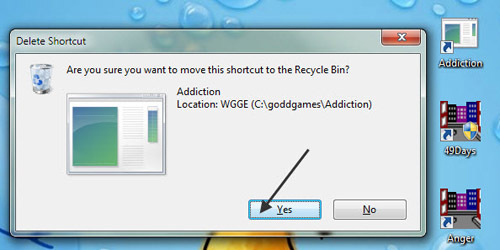 Click the Yes button to confirm that you want to delete this shortcut (Figure 14). Figure 14 - Delete Start menu shortcut.